According to the fresh poll timetable, as revised by the Senate and the House of Representatives Conference Committee on the Amendment to the Electoral Act, the 2019 elections will commence with that of the National Assembly, followed by governorship and State Houses of Assembly polls, while the presidential election comes last. However, the Buhari loyalists, in a statement made available to journalists in Enugu on Thursday, said the revision of the election timetable was ‘unconstitutional’ and ‘in bad faith’. Publicity Secretary, BSO, Enugu State Chapter, Eze Chibueze, who signed the statement, said there were no valid and altruistic reasons for the revision of the poll timetable. The statement said, “We call on Mr. President to veto the Bill and distinguished senators and House members to support the veto. Chibueze added that the National Assembly infringed on the powers of the Independent National Electoral Commission by revising the poll sequence. 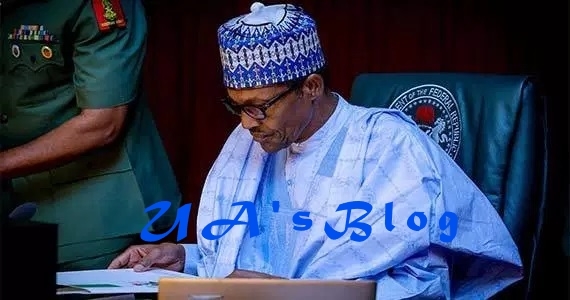 “Buhari Support Organisation, Enugu State Chapter, condemns in its entirety, the unconstitutional amendment of Section 25 of the 2010 Electoral Act by both the Senate and House of Representatives. “The amendment no doubt infringes upon the constitutional powers vested on the Independent National Electoral Commission by the 1999 Constitution of the Federal Republic of Nigeria as amended. “We view the amendment as one done in bad faith, hence erosion of INEC’s powers as an electoral umpire which had already issued sequence and order of the 2019 general elections – National Assembly/President, and State Assembly/Governorship elections. “We are at a loss and yet to locate the economic, patriotic or any valid reason for infringing on the Constitution which, in the Third Schedule, expressly bestows INEC with the powers to organise, undertake and supervise all elections to the offices of the President and Vice President, the Governor and Deputy Governor, and to the membership of the Senate, the House of Representatives and the House of Assembly of each State of the Federation.